In her TED Talk on the “single story,” Chimamanda Ngozi Adichie addresses our adherence to single stories — of places and their political landscapes, of others, and of ourselves. We advance the single story because it allows us to understand the world in a linear, comfortable way and to comprehend ideas of excellence one-dimensionally. From the days of Camp Yale, we’re inundated with opportunities and thus a plethora of choices. Almost every day, we confront these choices, ranging from academic to personal to extracurricular. Perhaps as a consequence, we ache to be chosen. All of us, by virtue of being at Yale, have already been chosen in some respect, and we will carry this stamp of exclusivity with us as we move through this world. But we want to be chosen again, by our professors, by our peers, by coveted programs. We want to belong to the cohort of students. We want to belong to the society, to be tapped on the shoulder, to be told that we are wanted, that we are good enough. We subconsciously prize meaningless competitions that validate our desire to be chosen, that convince us so well that exclusivity is synonymous with excellence. Often, we forget that while these communities can be valuable, we don’t need the program to take the classes we want to take or to pursue the opportunities we are passionate about, and that we don’t need the society to form genuine bonds with one another. For every person who is tapped for a group or a society, who is chosen to belong to a selective program, there is someone who wasn’t chosen. For any accomplishment of mine, there is a morning when I almost couldn’t get out of my bed. For every person who got into Yale, there’s someone who the system weaned out. As my professor was speaking, I began to cry. I didn’t notice until I felt the residue of tears on my cheeks. I thought about friends of mine who had gone through the tap and rush processes and who felt inadequate because they weren’t chosen. I thought of my peers at other universities who are as — or more — talented and curious and passionate as me, who wouldn’t get to sit in this lecture hall or have the privilege of saying they felt bored or jaded with Yale. I thought about my friend who wondered if she shouldn’t pursue education because she wasn’t selected for the Education Studies Program or my other friend who told me that her successes had begun to feel wholly meaningless. I felt immensely saddened by the sheer number of arbitrary competitions we constantly subject ourselves to. In most cases I’ve seen, exclusivity does not lead to greater happiness or the nebulous idea of success that we chase. Recently, I read Junot Diaz’s piece in the New Yorker about his childhood trauma and its repercussions. He had kept this story inside for so long, and I began to wonder about the stories that each of us suppresses in favor of a more visible one. We can never know what anyone else harbors inside. This is what I do know: For every story we choose to tell, there is an alternate story we could have told. I hope we choose to pay attention to the lesser-told ones, when we can. I hope we tell the stories of the times we weren’t tapped on the shoulder, or when we felt most vulnerable. I hope we share with each other how we struggle, and not just how we appear to succeed. I hope we rewrite the narrative that exclusivity means excellence at Yale. We belong, even if we can’t point to or name the club or the program or the society we belong to. Last weekend, I took a walk with two of my close friends, and we decided to sit on the patch of grass to the right of the Beinecke Rare Book & Manuscript Library. The grass was wet, and it stained our pants and the soles of our shoes. I looked at my friends, their faces bright and alive in the premature summer light. I belonged to something and it didn’t have a name. Meghana is a student at Yale, where she serves as Co Editor-in-Chief of the Yale Globalist, a quarterly international affairs magazine. 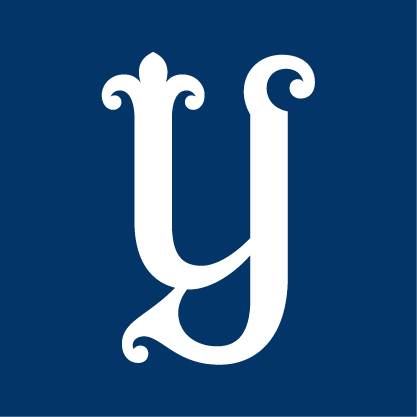 She also writes columns, personal essays and long-form journalism pieces for several campus publications, including the Yale Daily News and the Yale Herald. In high school, she won a Scholastic Art & Writing Awards National Medal for writing portfolio, and her poetry and stories appear in several journals such as Rogue Agent, Third Wednesday, and others. She is from Portland, Oregon.